Kivi has loved coffee since before she could walk or talk. Despite her baby demands, I really didn't give her coffee regularly until she was maybe two years old, and then it was just the "drippies" (the last swallow of coffee in my mug). When she was about four, I'd sometimes give her a "cup" of coffee in a shot glass. 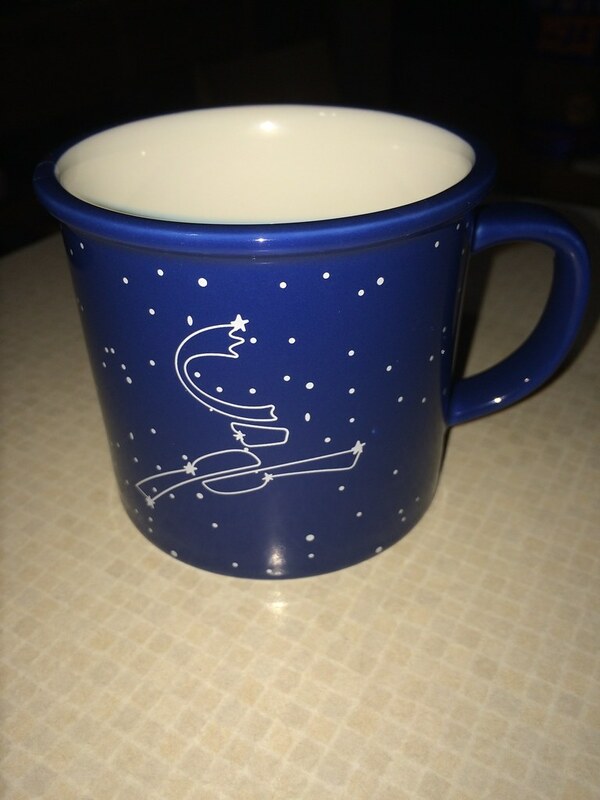 Somewhere along the way, I got her a couple of espresso mugs - cute cat and dog cartoon-themed ones, but they eventually got broken. 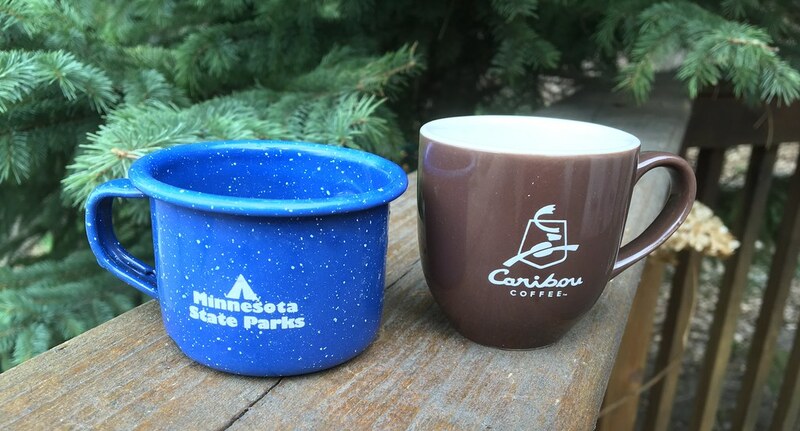 We picked up an enameled metal one at a state park, and another porcelain one from Caribou. They hold about 2 ounces, and I'd just spoon some coffee out of my own mug for her to share. I never gave her "coffee milk," just smaller amounts of regular coffee, exactly the same way I took mine, slightly sweetened, with some cream in it. 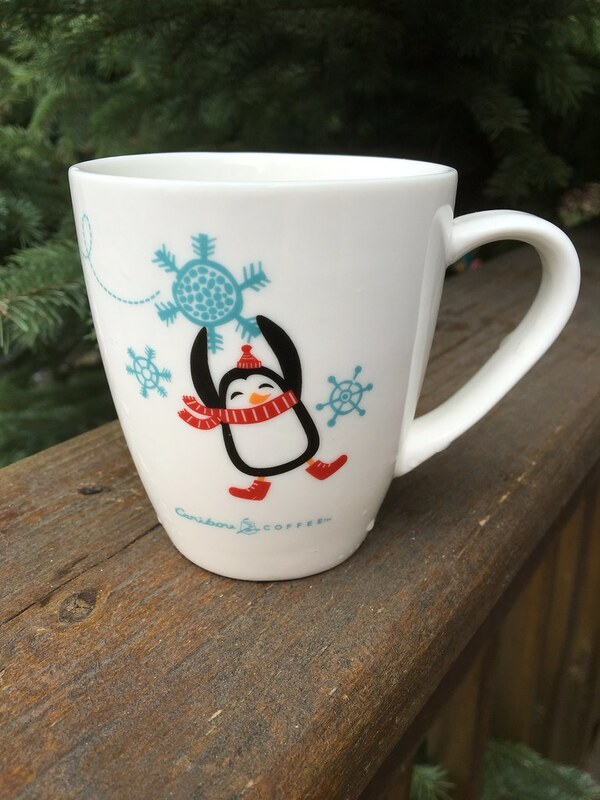 When she was 10 or 11, she graduated to a six-ounce "hot chocolate" mug. 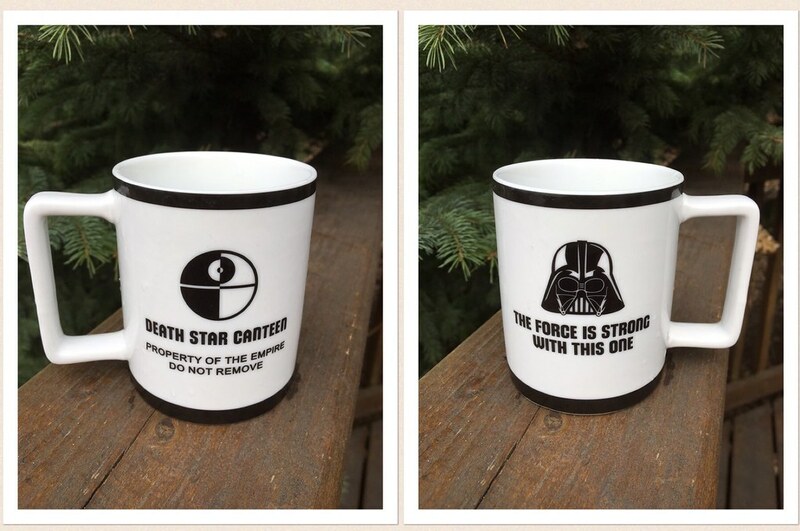 I'm not sure what makes it a hot chocolate mug, but whatever. This marked the first time I started brewing extra coffee to accommodate her. I've told her she'll get a 12-ounce mug when she's 16, and a 16-ounce mug when she's 18. For the last few years, I've also saved disposable coffee cups/lids from local coffee shops, and rinsed them out for a second use. If we were running late and she didn't have time to finish her coffee, we'd transfer it into one of the disposable cups, and she'd take it with her. Neighbor kids and parents were a little surprised to see a kid walking to the bus with coffee (and probably judgmental, but they never said anything to me). Kivi told me that after a few months, a couple of the older kids started bringing coffee to the bus stop, though in larger quantities than I gave her. I detected a hint of jealousy in her tone. It's been a strange journey. Kivi's dad is a coffee-hater, so this is something she definitely got from me. I'm glad we have this shared love - it gives us, ahem, common grounds, during the sometimes turbulent teenage years.